A government shutdown: What could it look like? President Barack Obama speaks to the media at the White House as a government shutdown deadline looms over Washington. Government agencies were directed to "execute plans for an orderly shutdown" late Monday as Congress failed to pass a funding bill that would prevent the disruption of some government services. The Office of Management and Budget, tasked with administering the shutdown, urged Congress "to restore the operation of critical public services and programs" impacted by the failure of the House and Senate to reach an agreement on how to continue funding the government by 12:01 a.m. Tuesday. While the most essential government services will basically continue business as usual, the lack of funding for many others will be a minor headache for some Americans, and a serious concern for others. In remarks Monday, President Barack Obama said children, seniors, and women would be "hamstrung" if the government were to shut down. "The shutdown will have a very real impact on real people right away," he said. The president on Monday said that hundreds of thousands of government employees working around the world would see their paychecks delayed by a government stoppage. Hundreds of thousands more will be indefinitely furloughed come midnight Monday if a funding bill is not passed, according to the president. "What of course will not be furloughed is the bills they'll need to pay, their mortgages their tuition payments, their car notes...They would be hurt greatly and as a consequence all of us would be hurt greatly should Congress choose to shut the people's government down," Obama said. The Congressional Budget Office, responsible for calculating the financial impact of proposed legislation, announced it would be "largely shut down" if government is no longer funded. The Merit Systems Protection Board, tasked with overseeing merit promotions for federal employees, announced it would "cease all operations" if no funding agreement is reached. Most employees of the Environmental Protection Agency and Futures Trading Commission will also be furloughed, according to the agencies. 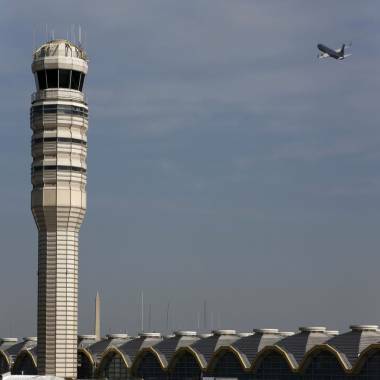 A jet departs Washington's Reagan National Airport next to the control tower outside Washington, in February. Federal air traffic controllers would likely remain on the job and airport screeners would keep funneling passengers through security checkpoints. Federal inspectors would continue enforcing safety rules. The State Department could continue processing foreign applications for visas and U.S. applications for passports, since fees are collected to finance those services. Embassies and consulates overseas would continue to provide services to American citizens. However, the State Department warned this week that consular operations at home and abroad would only remain open as long as "there are sufficient fees to support operations." Between 20-30,000 applications for visas went unprocessed each of the 27 days the government was halted in the mid-90s, according to the Congressional Research Service . Nearly 200,000 U.S. applications for passports went unprocessed, causing millions of dollars in losses for U.S. tourism industries and airlines, according to the report. Social Security and Medicare benefits would keep coming, but there could be delays in processing new disability applications. Unemployment benefits would still go out. However, services like replacing lost Social Security cards or receive assistance for disability hearings. All sides seem to agree on one thing -- a government shutdown may be increasingly likely. The shutdown could impact national parks, international travel and some workers. NBC's Kristen Welker reports. Federal courts would continue operating normally for about 10 business days after the start of a shutdown, roughly until the middle of October. If the shutdown continues, the judiciary may have to begin furloughs of employees whose work is not considered essential. But cases would continue to be heard. The Justice Department announced they will suspend many civil cases, but criminal litigation will continue without interruption. Deliveries would continue as usual because the U.S. Postal Service receives no tax dollars for day-to-day operations. It relies on income from stamps and other postal fees to keep running. 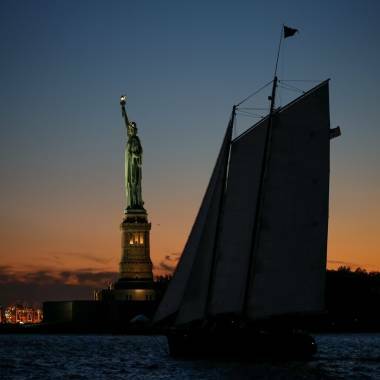 The crew of the old sailing vessel Clipper sails between Manhattan and Libetry Island as the sun sets in New York City, on Sept. 19. All national parks would likely be closed, as would the Smithsonian museums, including the National Zoo in Washington. Visitors using overnight campgrounds or other park facilities would be given 48 hours to make alternate arrangements and leave the park. Among the visitor centers that would be closed: the Statue of Liberty and Ellis Island in New York, Independence Hall in Philadelphia, Alcatraz Island near San Francisco and the Washington Monument. Staffing will be held to "the very minimum to perform essential functions," according to the Department of the Interior, meaning many of its 70,000 employees could be furloughed. The closing of 368 National Parks Service sites resulted in the loss of an estimated 7 million visitors during the 1995 and 1996 shutdowns, according to a Congressional Research Service report released in August. Closure of national museums and monuments resulted in the loss of an estimated 2 million visitors and millions of dollars of revenue to the surrounding community. New patients would not be accepted into clinical research at the National Institutes of Health, but current patients would continue to receive care. Medical research at the NIH would be disrupted and some studies would be delayed. The Centers for Disease Control and Prevention would be severely limited in spotting or investigating disease outbreaks, from flu to that mysterious MERS virus from the Middle East. The Food and Drug Administration would handle high-risk recalls and possibly suspend most routine safety inspections. Federal meat inspections would be expected to proceed as usual. A small number of Head Start programs, about 20 out of 1,600 nationally, would feel the impact right away. The federal Administration for Children and Families says grants expiring about Oct. 1 would not be renewed. Over time more programs would be affected. Several of the Head Start programs that would immediately feel the pinch are in Florida. It's unclear if they would continue serving children. The Special Supplemental Nutrition Program for Women, Infants and Children, known as WIC, could shut down. The program provides supplemental food, health care referrals and nutrition education for pregnant women, mothers and their children. School lunches and breakfasts would continue to be served, and food stamps, known as the Supplemental Nutrition Assistance Program, or SNAP, would continue to be distributed. But several smaller feeding programs would not have the money to operate. White House Press Secretary Jay Carney said senior nutrition grants, which provides meals for 2.5 million elderly Americans, would not be funded in the event of a shutdown. A woman walks out of the Internal Revenue Service building in New York in May. 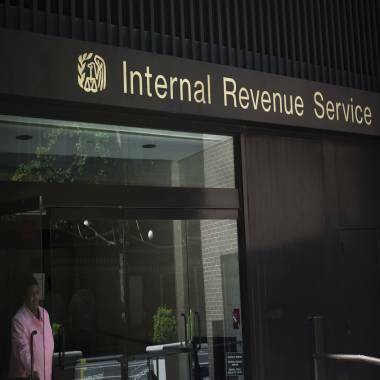 Americans would still have to pay their taxes and file federal tax returns, but the Internal Revenue Service says it would suspend all audits. Got questions? Sorry, the IRS says taxpayer services, including toll-free help lines, would be shut as well. Many low-to-moderate incomes borrowers and first-time homebuyers seeking government-backed mortgages could face delays during the shutdown. The Federal Housing Administration, which guarantees about 30 percent of home mortgages, wouldn't underwrite or approve any new loans during the shutdown. Action on government-backed loans to small businesses would be suspended. NASA "will be shut down almost entirely," the president said. Only workers at Mission Control in Houston and elsewhere will keep working to support the International Space station, where two Americans and four others are deployed. The National Weather Service would keep forecasting weather and issuing warnings and the National Hurricane Center would continue to track storms. The scientific work of the U.S. Geological Survey would be halted. The president on Monday signed legislation to ensure the military's 1.4 million active duty personnel would still be paid during a shut down. "If you're serving in harm's way, we're going to make sure you have what you need to succeed in your missions. Congress has passed, and I am signing into law, legislation to make sure you get your paychecks on time. And we'll continue working to address any impact this shutdown has on you and your families," Obama said in a video message to American military and their families. Still, about half of the Defense Department's civilian employees could still be furloughed. All 116 federal prisons would remain open, and criminal litigation would proceed. Prison guards’ pay may be delayed. Most services offered through the Department of Veterans Affairs will continue because lawmakers approve money one year in advance for the VA's health programs. Veterans would still be able to visit hospitals for inpatient care, get mental health counseling at vet centers or get prescriptions filled at VA health clinics. "Veterans who have sacrificed for their country will find their support centers unstaffed," Obama said. Claims workers would still process payments to cover disability and pension benefits. But veterans appealing the denial of disability benefits to the Board of Veterans Appeals would have to wait longer for a decision because the board could not issue any decisions during a shutdown. Carney said during Monday's briefing that veterans' call centers "will be close immediately" if the government shuts down. Federal occupational safety and health inspectors would likely stop workplace inspections except in cases of imminent danger.